Keith is a highly talented and transformational Leader and Coach. He currently is the Managing Partner at PowerTies Consulting Group. He has worked his whole life towards helping others succeed, and he puts together his US Army, Corporate, and Small Business Owner experience to deliver high-quality leadership messages and positive impacts on all the people with whom he comes into contact. Keith began his U.S. Army career as an enlisted Medic at Fort Drum, New York. He applied to West Point and was accepted through the Army upon completion of his attendance at the U.S. Military Academy Preparatory School (USMAPS). While attending West Point, his most cherished time was when he served as the Vice Chairman of Education on the Honor Committee. He graduated from West Point in 2001. He started his service as an Army Officer in the 1-87 Infantry Battalion as a Military Intelligence officer. Within his first assignment, he was his deployment to Afghanistan in support of Operation Enduring Freedom. After 3 years at Fort Drum, he became a qualified Captain and served two tours in South Korea, culminating in a successful Company Command for the Headquarters and Headquarters Company of the 501st Military Intelligence Brigade. After 6 years as an officer, Keith decided to leave the military to pursue a civilian career. He ran his own property management company in Queens, New York. He then became the Operations Manager and Sales Director for a privately owned self-storage company. He served briefly as a Financial Representative for Northwestern Mutual, and then continued his journey by working as a Director of Client Relations at the Thayer Leader Development Group up at West Point. He most enjoyed helping the elite of Corporate America build and execute some of the best leadership training and experiences of their lives. 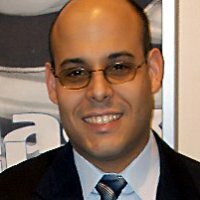 In his spare time, he gives back to the communities he cares about the most: Veterans, US Army, West Point, High Schools (especially Townsend Harris HS), Baruch College, and the Association of Talent Development, just to name a few. He enjoys developing peer, mentor, and business relationships with those who believe in making their life and/or business journey "a team sport with true value". Using his leadership and coaching abilities to their fullest, Keith maintains the Managing Partner position at PowerTies Consulting Group which has become a great resource to his beloved executive and business owner clients worldwide. 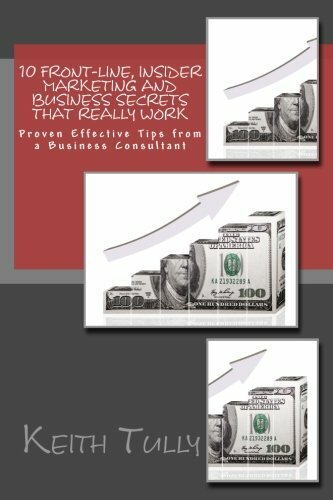 Keith earned his MBA at the University of Phoenix in 2015 around the same time he authored his first book 10 Front-Line, Insider Marketing and Business Secrets That Really Work: Proven Effective Tips from a Business Consultant. He provides a podcast called a Daily Dose of Power on the Anchor application. He currently lives in Queens, New York with his wonderful wife and his adorable two sons. Maria Baez is an author/speaker whose first book, What​ is Happening To Me? What Do I Do?,​ written in 2011 has changed the lives of many young girls around the world (in both English and Spanish) on how to overcome the process to becoming a woman. After enduring a difficult childhood born in the Dominican Republic, and then immigrating to the United States, she has been a single mother who has taken care of her medically challenged daughter for over 16 years. She has worked her way up from having nothing to becoming a true expert in Immigration and Corporate Human Resources policies, practices, and procedures. Maria is a Devry Keller School of Management graduate with a Master's in Human Resources. She has transformed herself from her poor, immigrant status to the successful, inspiring level of a true professional. Maria simply wants to promote a world where everyone is full of joy and harmony. She also wants to help everyone she meets to accomplished their dreams. Maria is one of the world’s leading authorities on overcoming obstacles, keeping your head up, moving forward, and finally tasting success! Maria’s deepest passion is to work on Transformational Events ­ making new connections to inspire others to personal growth. You can most often find her supporting her clients to attain their goals through her private Personal Development Coaching practice. Maria has a logical mind and a keen sense of who she is and what she can accomplish. She is always dedicated to her work no matter what the circumstance. Her practice allows her to channel these skills to her clients’ benefit. She brings out the best in those she helps. Maria knows that people​ are what make the difference in any business. She knows what motivates them, what drives them, and what inspires them to produce outstanding results. Sharing her success strategies with multinational corporations ­ such as Unilever and Parmalat ­ has proven the positive impact of her best business practices within high­ stress, corporate organizational environments. Combining some professional leadership development, and various business strategies, Maria finds joy in working with people at all levels and with various skill sets. She helps them to be able to make their own clear and positive choices. She helps them guide their own lives, careers, and destinies. Most importantly, Maria is committed to helping her clients awaken their inner power, capabilities, and influences to get to the next level of self ­empowerment. It doesn’t matter at what stage in the process her clients begin. Maria has the tools to help them inject vitality into their lives and work. By teaching people how to escape in “7 Steps” from their current stressful situations and blocked thoughts, Maria teaches her clients to embrace their goals and do the work it takes to achieve the success they deserve.